East Preston Cricket Club’s perfect start in West Sussex Invitation League Division 2 reached six games on Saturday. Another faultless display helped them earn an emphatic 171-run win at Broadbridge Heath. East Preston, who were missing skipper Gary Weedon, piled on the runs after being asked to bat first. Paul McCafferty struck 89, while Glen Whittaker made 42 and stand-in captain Jack Sunderland hit 41, before East Preston declared their innings on 278-7 after 45 overs. 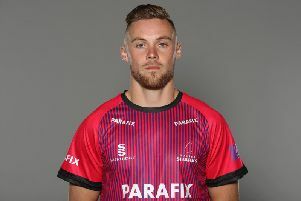 Ryan De Gruchy and Whitaker both then claimed three wickets, after Sunderland and Joe Carter took two each, to dismiss Broadbridge Heath for just 107 in 32.2 overs. A sixth straight win for East Preston ensures they have a healthy lead at the summit early in the season. Second-placed West Wittering are 78 points off the pace with only six games gone this season. East Preston skipper Weedon has been delighted with his team’s start and does not want their incredible unbeaten start to end. He said: “It was really pleasing to see us gain another victory, even without a full strength side. Myself and Louis (Storey; the two opening batsmen) were unavailable, so it was great to see us still put on a big total after being stuck in. It really does show our strength in depth this year is why we are winning games. “If this had been last year or the year previous to that we would never have been in a position to win these games. “One of the real positives to come from this season so far is the ease we seem to be bowling teams out. It’s not just that, it’s also the fact wickets are being shared around the team. “We are playing with so much confidence and it makes such a difference when we arrive at any match. With opening batsmen Weedon and Storey unavailable, Tom Chamberlain and Tom Wareham-Grinstead opened the batting for East Preston. Chamberlain was bowled by Joe Miller for seven but Wareham-Grinstead and McCafferty shared a sizeable second-wicket stand. The pair put on 76, before Wareham-Grinstead went for 29. McCafferty would stick around and build for EP, gaining support from Sunderland (41) and Whitaker (42). There was to be no ton for McCafferty as he fell 11 runs short of a century but he played a pivotal role as East Preston declared on 278-7 after 45 overs. Stand-in skipper Sunderland and Carter dismissed Broadbridge Heath’s top four batters, taking two wickets each to reduce them to 54-4. Heath never looked like recovering and EP had things wrapped up in double-quick time. De Gruchy and Whitaker both claimed three wickets apiece as Broadbridge Heath were all out for 107 in response. League leaders East Preston head to second-placed West Wittering in the league on Saturday.